There is just something special about the bond between a human and his or her dog. Dogs make for excellent workout partners. Studies have shown that dog owners are more active in general. Most dogs love to be active, and they therefore contribute toward keeping the whole family active. Even if you already take your dog for regular walks or throw a ball around the backyard, there is no reason that you cannot make the family pet part of your actual workout routine. Dogs’ love hiking, jogging, running, even cycling! Here are five reasons that you should consider working out with your dog regularly. Dogs love walking and running, and there are no reason that the enthusiasm might not be contagious. Many people find it easier to follow a training plan when they have a partner to train with, so why not make your “best friend” your training partner? Dogs love to jog and run, and even if your fitness plan calls for something a little more sedate — such as long brisk walks — your canine friend will still love it. Dogs will encourage you to follow a routine, such as going for a run after work every day, and they can also turn your exercise sessions into a more positive experience. 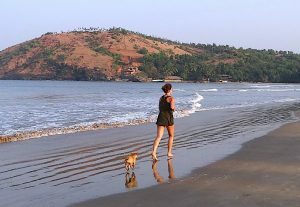 If you run alone, a dog can help you to feel safer, especially if you run or hike on remote trails, or at night. 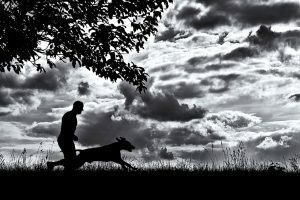 Although running with a dog does not guarantee safety (running at night or on trails always has a small element of danger), it makes it more unlikely that you will be approached or attacked if you are running with a dog, especially a large one. You might not always look like you’re having fun when you’re running, but your dog will. Most dogs love to run and walk, so that means that the both of you will be having fun. In fact, if you are working your way up a difficult hill or going for a personal record, your dog may have more fun than you do! On those days when training seems difficult, your dog’s energy and happiness can be contagious. Like humans, dogs were “born to run”. Running will help your dog to maintain weight and muscle tone, make for a healthier heart and circulatory system, and help your dog to build and maintain endurance. Also, similar to humans, regular exercise will contribute to good canine mental health. If you deserve to be fit, healthy, and happy, then your “best friend” does too. As your fitness improves, your dogs will too. 5. Running Will Make Your Dog Tired! 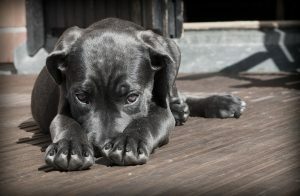 If you are troubled by your dogs’ destructive tendencies or overabundance of energy, you are certainly not the only one. Many dog owners forget that dogs need a lot of exercise. There is no guarantee that regular exercise will turn your dog into an angel, but a tired, happy, satisfied dog is more likely to be a dog that won’t be a tear around the house, chewing up your favorite pair of running shoes, or dig its way to freedom under the backyard fence! 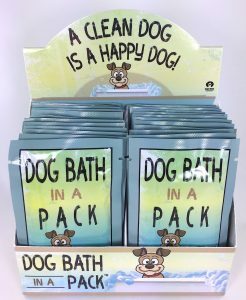 After initially premiering for online sales only, Dog Bath in a Pack is now entering the retail (brick and mortar) market space. 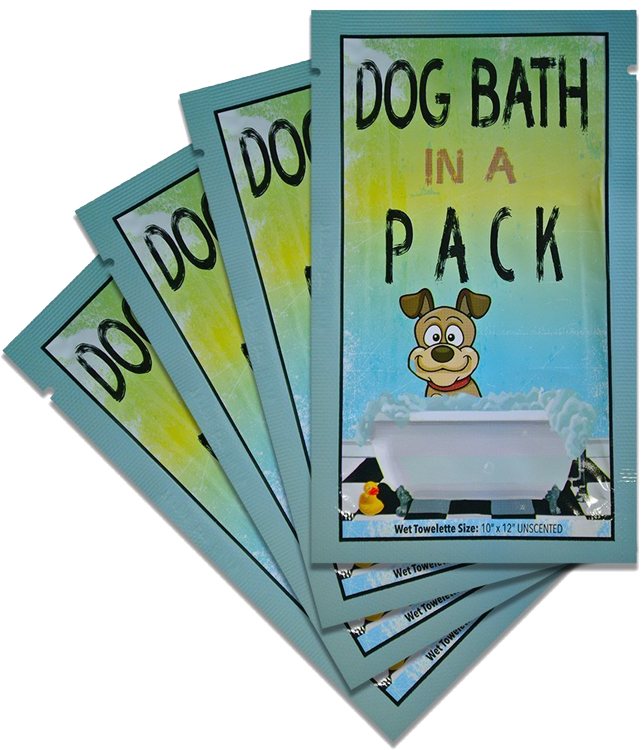 A POP (point of purchase) retail display box was specially designed for the Dog Bath in a Pack product. 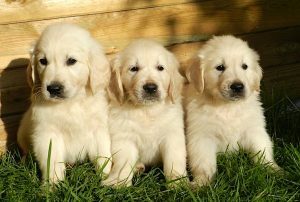 Three puppies enjoying the spotlight! Just “chillin” after a run in the park.